The iDesk Ambarella office chair from Cherryman offers high end ergonomic features and modern appeal. 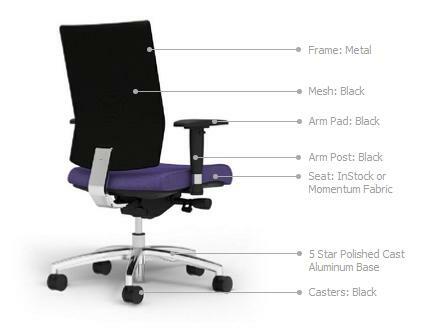 This cutting edge task chair is available in a variety of seat upholstery options to compliment the black mesh back. Ambarella chairs offers exceptional value and support. Structural metal frame shapes the black non-stretch mesh sleeve to create a natural lumbar. Advanced Synchro-Tilt with 2" Seat Slider Adjustment. 3 lock positions and side mounted tension control knob. 4" Pneumatic seat height adjustment. Bult-in user guide card for personal adjustment. Arm height adjustable (3") and width adjustable (1.5"). 2" Thick polyurethane contoured seat. Seat upholstered in fabric. Slip cover is replaceable. 35% post-consumer (PC) and 16% pre-consumer (PI) aggregate recycled content. The iDesk Ambarella chair is practical, comfortable, and affordable. This best selling seating solution offers the high end appeal and ergonomic attributes needed to provide a healthy sitting experience throughout task filled work days. The Ambarella is available in a variety of attractive seat upholstery options and is backed by a limited lifetime warranty to ensure performance. 3 lock position and side mounted tension control knob. Built-in user guide card underneath seat for personal adjustment. 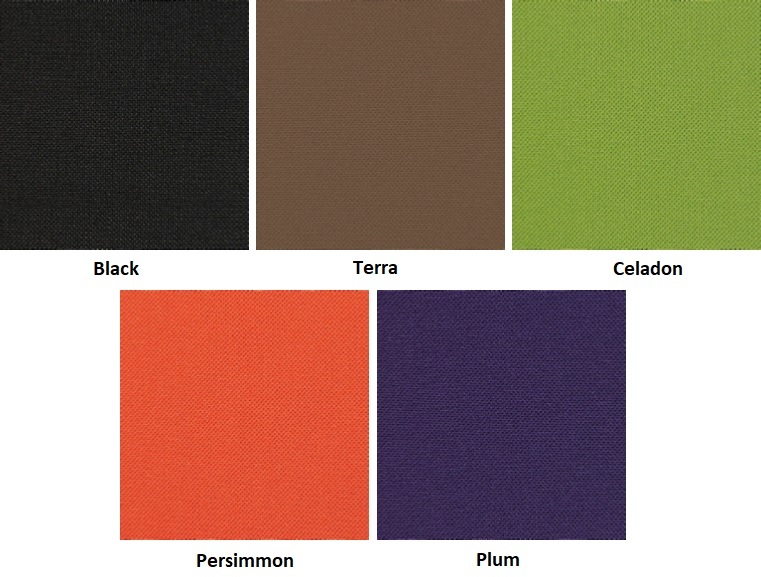 Textile durability for back mesh and seat, 100,000 double-rubs. The Ambarella chair passes CAL Technical Bulletin 117-2013. 35% post-consumer (PC) and 16% preconsumer (PI) aggregate recycled content. Typically in stock and ships ready to assemble. Width At Arms - 25.25" to 27.25"
Width Between Arms - 18" to 20"
Overall Height - 37.25" to 41.25"
Seat Height - 17" to 21"
Seat Depth - 18" to 20"
Seat To Top of Back - 20"